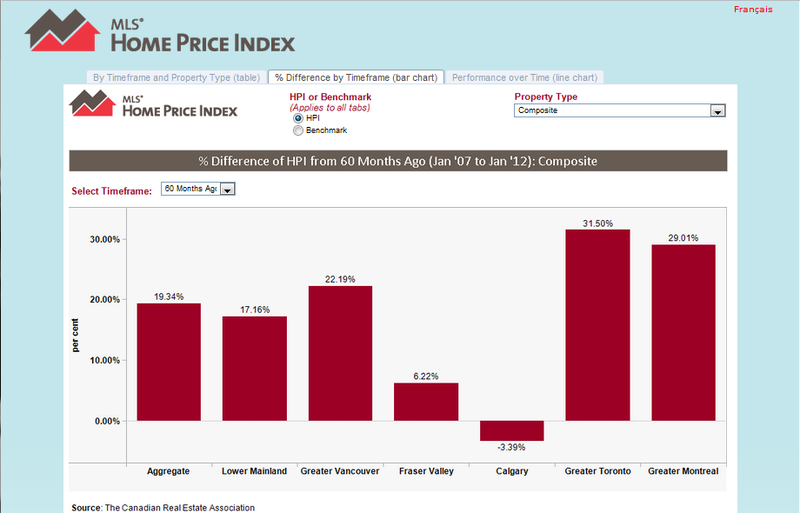 Canandian Real Estate Association (CREA) and real estate boards of Calgary, Fraser Valley, Greater Montreal, Greater Vancouver and Toronto debuted MLS Home Price Index (HPI) yesterday. HPI is a set of indicators to gauge the real estate markets. MLS Home Price Index and concerting efforts from the pioneer real estate board such as TREB to provide more information and transparency definitely empower current, future homeowners as well as investors in their real estate decision making. A step forward in the new year. Way to Go, KARL WONG!